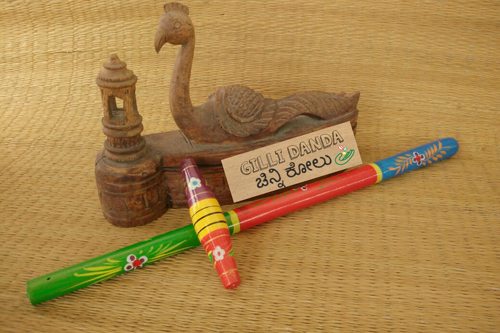 The ancient rural sport of Gillidanda gets a revival with this artistically done set of sticks. Believed to be the source of modern popular sports like cricket and baseball, Gillidanda is played with two sticks - one longer than the other. This set also includes rule sheet.